The daily newspaper habit is overdue for a revival. It is among the best ways to stimulate your career growth. Compliments from senior managers, greater influence and a greater impact are among the benefits available to readers of the business press. There is just one problem. The world is filled with media options. With limited time, how do you make the most of your news reading? The READ approach outlined in this article helps you glean great value from the press in just a few hours per week. If you are changing careers or seeking a major increase, you need the READ strategy even more. Without it, you risk looking confused when industry trends and challenges are brought up in meetings. Like any new activity or habit, your first question may be “how am I supposed to fit this into my schedule?” Your answer will depend on your specific situation. At a minimum, dedicating thirty minutes a week to this process will deliver value. At that level, reading a few articles each morning will get the job done. Alternately, you might read a publication in depth on the weekend. Much like exercise, I have found that this habit tends to work better when you engage in it a few times per week rather than placing your emphasis on a single session. Morning Commute: If you commute by public transit, train or similar means, you have some time to catch up on reading. 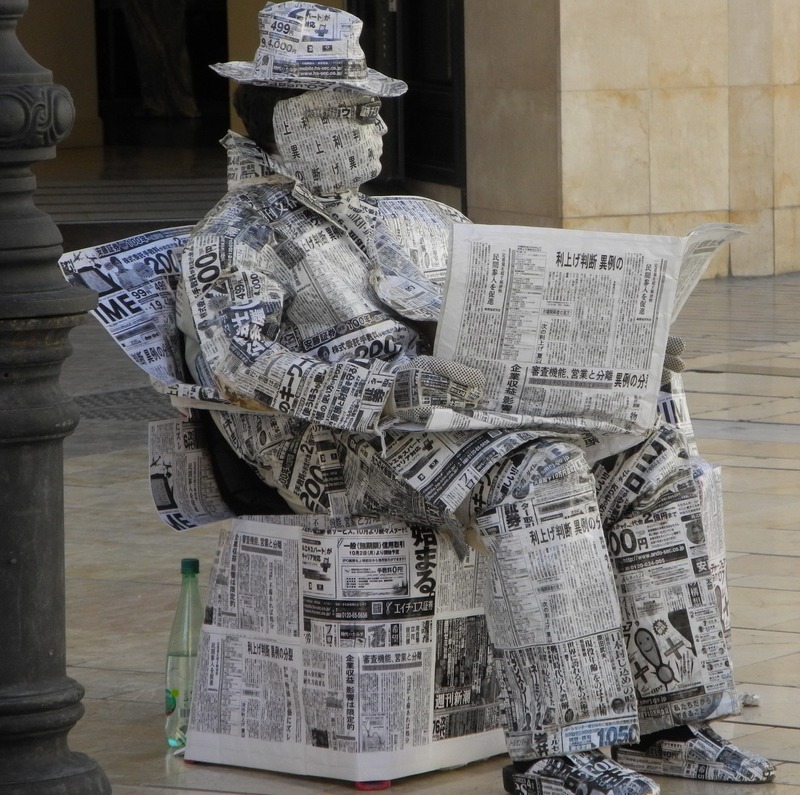 Lunch Break: A few times per week, you can use part of your lunch break to read the news. Early Arrival At Appointments: From time to time, you may be a few minutes early for appointments. You can put this time to good use with reading. Coffee Breaks: Productivity research has found that taking breaks from your work increases your overall productivity. Reading one or two articles during this time is an option. Tip: Use the resources section mentioned at the end of the article for suggestions on ways to speed up the reading process further. The READ model is a methodology to read the news with purpose and assumes you are operating with limited time. This approach assumes you have access to quality news publications whether through your own subscription or other means. The examples here emphasize written media because it is easier to manage and share with others. Use each step of the model in order to obtain the best results. Your approach to the news media will be shaped by your career goals in the short term and long term. A short term goal might be to build your reputation by making better contributions in meetings and other venues at the office. In the long term, you may have a long term goal to seek a promotion to program manager or to an executive role. If you are seeking to move to a new industry, you may want to ask a few people in your network for suggestions on the “standard publications” everyone reads in that field so you can get up to speed. Action Step: review your most important career goal because that will inform where you spend your reading time. In our time, we are blessed to have a wide variety of publications to draw on for insights, facts and opinion. The flip side to this situation is to determine which publications suit your budget and time. As a general guideline, I suggest reviewing 2-5 publications on a recurring basis. These publications will fall into several categories: general news coverage (e.g. a major daily newspaper), an in-depth publication (e.g. a weekly or monthly publication that provides greater depth of analysis) and a profession/industry specific publication. Of course, I also recommend you include ProjectManagementHacks as part of your reading program! Action Step: Select three publications from the resources section of this article to add to your READ habit. Several publications (e.g. The Wall St Journal and the New York Times) offer low price subscriptions to new readers so you can try out the publication for a short time. Does this trend present an opportunity or threat to my company? Does this article have implications for the future (e.g. a forecast for declining oil prices)? Does this article have credible data and sources? If not, does it have other useful ideas I might investigate? How does this article fit with your professional knowledge and experience? Does it confirm what you know already or challenge it? Is news item part of a broader trend that will impact your employer or career? At a minimum, read articles that directly refer to your organization and your industry. Knowledge of your industry includes some understanding of your main competitors. After all, if a competitor launches a new product then your customers may start to ask your company for a similar offering. Action Step: Apply one or more of the above questions to a news article you read this week. Up to this stage, the READ model has been a relatively solitary experience. The final stage of the model is to share what you read with other people. Sharing an article with someone in your network is a great reason to stay in touch. Some readers may have encountered this suggestion before. If that is so, ask yourself whether you have put it into practice in the past month. If not, then you have a new opportunity to put it into practice. Here are a few ways to share your reading with your network. With this technique, a little effort goes a long way (i.e. sharing 1-2 articles per month with your current department is great: sharing more than that is probably too much). Tip: I recommend writing a short email by hand (with a link to the article) when using this technique. A brief email with one or two key points from the article is better than using the “share this article” tool that many publications offer. Current Department. Sharing your insights with your current manager and coworkers is a great idea. For example, you could send a “mini-broadcast” email around once or twice per month or bring a copy of an article to a staff meeting. Internal Network. As project managers and managers, we depend on people in other units to get work done. Sharing interesting news items about your company and competitors from time to time is a great way to stay in touch. Otherwise, you may fall into the trap of only interacting with other departments when you need something from them. Reconnecting. I have hundreds of LinkedIn connections and I’m aware that I can do better in staying in touch with them. One way to bring those connections to life is to share the occasional article with someone. Shared Interests Connection. My interests include history, wine and science fiction and I enjoy connecting with people on those topics. If someone mentions a shared interest with you in a conversation, that is an opening to share your perspective with them. Action Step: Share 1 article with someone you share by email this week. Include 1-2 sentences summarizing the article and why you think it is helpful. This overview of leading media resources will get you started in putting the READ strategy into action. The New York Times. An excellent general interest newspaper that includes strong coverage of business issues. The Globe & Mail. A leading Canadian newspaper known for strong business coverage. The Financial Times. A major UK publication that also provides strong coverage of European affairs. The Economist. As a weekly publication, the Economist often provides greater depth of analysis and new perspectives on current affairs. Harvard Business Review. Widely read by managers and executives in many industries, HBR provides new perspectives and research based articles on business matters. American Banker. A guide to the banking industry with an American focus. Mergers & Inquisitions. Ever wondered how people find jobs at investment banks and hedge funds? This website brings your reports, salary information and training resources to help you achieve success in the investment industry. ProjectManagement.com. I write a monthly column for ProjectManagement.com and that is only one of the great resources you will find there. There are great forums, templates and other resources for project managers to use. CIO.com. Since 2015, I have been a regular contributor to CIO.com (e.g. How IT supports sales at 3 large companies, How CIOs can ensure M&A projects pay off and How Lockheed Martin, Cisco and PWC manage cybersecurity). If you are in IT management or aspire to such a role, CIO is an excellent resource. Fast Company. For professionals interested in innovation, growth and new ideas, Fast Company is a great resource. Fortune. If you want to know what the world’s largest companies are doing, Fortune needs to be on your reading list. Nice article on ” How TO read the News for Career Growth”. Well written with suggestion on how to effectively use the time during commute/coffee break or lunch break. The summary of this article is well portrayed in the Pixabay photo as “Simply get immersed in the news for your career growth”. This photo has conveyed the net net content. Well done. Rocky, glad to hear from you. I have been in that situation as well. I used to try to fit training into the 4-5pm slot in the workday. I was often too tired or busy for that to work for me. For reading books, I like to do a 30 min reading block in the AM with breakfast or with lunch. It gets harder the later I get in the day.